Death is an uncomfortable subject for many Americans, especially the topic of one’s own death. Many people in our society go to great lengths to prolong their own lives, even if for only a few months. Perhaps this fear of death helps explain why the majority of Americans have no estate plan in place. The absence of even basic estate planning documents is especially prevalent amongst adults with young children: some surveys suggest approximately two-thirds of these individuals have no estate plan at all, much less any written plan to provide or care, support, and guidance of their children should something unfortunate happen to them. Regardless of one’s income, creating an estate plan is essential for ensuring that your wishes and desires are followed concerning care for your children, your business, and your assets and debts when you pass away. Although many bookstores and websites offer to help you create a will or trust for a small fee, having the assistance of a knowledgeable Florida estate planning attorney is essential to ensure your estate plan meets your needs and the needs of your family. The first step in any successful estate plan is making sure you know what assets and liabilities you have. It is impossible to create a comprehensive estate plan if you do not know what things you have that need to be distributed upon your death and what liabilities may remain. Therefore, it is important to gather information about your assets, your debts and liabilities, and your immediate family. stock in any companies? Do you have retirement accounts you may have forgotten? (For example, if you were an employee of the federal, state, or a local government, you may have had a mandatory retirement account.) You should collect information about your tangible and intangible assets, including a description of the asset, where it is located, any account numbers, and the current value of the asset. The same information should be collected regarding your liabilities. Mortgages, credit cards, student loans, tax obligations, and other debts should be listed along with any corresponding account numbers , the name of the creditor, and the amount owed. While some debts may be dischargeable upon your death, if any obligation of yours is cosigned, that person may become responsible for the unpaid amount. You may want your estate plan to take these sort of debts into account. As you gather information, you should also list your immediate family members such as your spouse and children. These individuals may have certain rights that may need to be addressed as part of your estate plan. For example, depending on what property you wish to leave to your spouse, your spouse may need to sign certain acknowledgements indicating he or she is aware of his or her rights and your intentions. Or you may have a child from a previous marriage that may be entitled to part of your estate if you die without a valid plan in place. Listing out your immediate family members will help your estate planning attorney properly advise you and take the steps necessary to carry out your wishes. Finally, assemble important documents for review later by your estate planning attorney. Any statements, titles, or other paperwork regarding your assets and liabilities should be stored in a safe place and brought to your attorney. If you have had any previous estate planning documents created (such as wills, trusts, or powers of attorney), be sure to set these aside and bring them with you to show your attorney at Ayo and Iken. A will, which is the basic estate planning document. A will directs a specific person (administrator or executor) to dispose of your property in a certain manner. If you have children, a will can designate a guardian to care for your children if your spouse is unable to do so. A will may or may not be used in conjunction with a trust. A trust puts your estate under the supervision of a trustee for so long as the trust exists. A trust can acquire property and dispose of property so long as it exists. Trusts are typically created to provide for the care and support of a spouse or to provide benefits over time to children. A trust typically requires a will so that any assets you own at the time of your death that are not part of the trust are transferred to the trust (this is sometimes referred to as a “pour-over” will). A healthcare directive or power of attorney is an important but often overlooked part of an estate plan. These documents tell others what sort of medical care or treatment you wish to receive in the event you are unable to communicate these desires yourself. A power of attorney can also give a designated individual the ability to make financial decisions and transactions on your behalf. You have had previous wills, trust documents, and/or powers of attorney. There are certain steps that need to be taken to ensure your present wishes would be legally enforceable. Our attorneys will draft the appropriate documents to carry out the goals you discussed with him or her at your meeting. Depending on the workload of the attorney and the complexity of your estate and estate plan, your attorney may take several hours to several days to draft your estate planning documents. Once these documents are drafted, you will need to review them for accuracy and completeness. Your attorney should be available to answer any questions you may have about how the documents are worded or how the estate plan will work upon your death. At this stage, you should insist on changes to your documents if they do not accurately reflect the estate plan you wish to accomplish. Once your documents are in order and reflect your wishes, these documents need to be properly executed. This is more than simply signing your documents in front of a notary. For example, if your estate plan includes a will, your signature will have to be witnessed by witnesses who are not beneficiaries under the will. All of these signatures – the signatures of your witnesses in addition to your own signature – must be notarized. 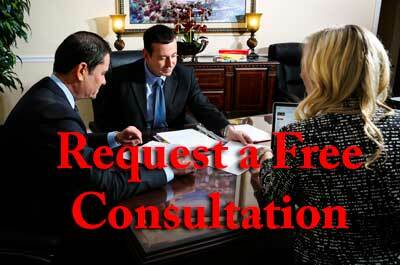 Your attorney will guide you through the steps necessary to execute each of your documents. Failure to properly execute documents can result in those documents not being enforceable in court and a frustration of your estate plan. Change your wishes regarding healthcare and who should make healthcare or financial decisions on your behalf if you become incapacitated. Depending on the nature of the changes you wish to make, you may be able to accomplish these changes through a codicil to your will or an amendment to your trust. When the changes are especially significant, a new will and/or trust may need to be created. Although do-it-yourself options may attempt to conform to Florida’s laws, it ultimately falls upon you, the user of the kit or website, to make sure that whatever document is produced conforms with the law and is enforceable. By contrast, your estate planning attorney will be familiar with Florida laws regarding the form and formalities that your estate planning documents must follow to be enforceable. This can give you much-needed peace of mind. Most individuals are familiar with wills, trusts, and powers of attorney, but any one of these may not be ideal for your particular situation. Whereas do-it-yourself options require you to know what estate planning tool or tools are best for your situation, an attorney can analyze your situation and recommend the most efficient plan to achieve your goals. Finally, certain estate planning options can result in significant tax consequences and other ramifications. An attorney can advise you whether such ramifications may be an issue in your case and can help you avoid unintended consequences. Estate planning in Florida need not be a complicated process, especially if you enlist the help of an estate planning attorney. In order to help your attorney create an estate plan to fit your needs, you should begin by gathering important information and documentation about your assets, liabilities, family, and any previous wills, trusts, or other estate planning documents you previously executed. At your meeting with your estate planning attorney, he or she will discuss your goals and objectives and craft the appropriate documents necessary to carry out your wishes. If you have special circumstances (such as a business or significant assets), your estate planning attorney can advise you how best to protect your assets and still carry out your estate planning goals. Once your estate planning documents have been created, you should take time to review them with your attorney for accuracy. If you experience a later change of circumstance (such as marriage or divorce, the birth of a child, or acquiring new assets), you should visit with your attorney again to make sure that your estate plan still meets your needs, reflects your wishes, and protects your assets. A properly crafted estate plan can ensure a seamless transfer of your assets to the individuals or entities you desire on your death.